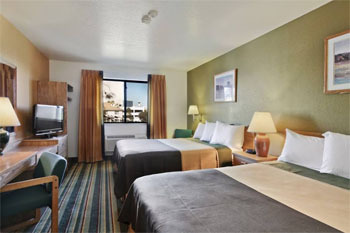 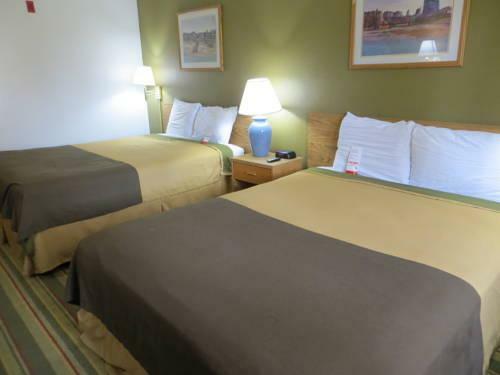 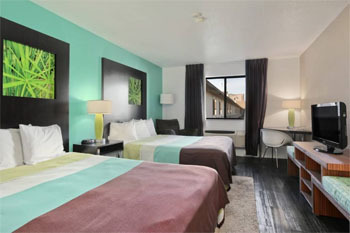 Value-priced rooms free Wi-Fi and parking and a 24-hour heated pool and hot tub keep our guests coming back to the Super 8 Las Vegas Strip Area. 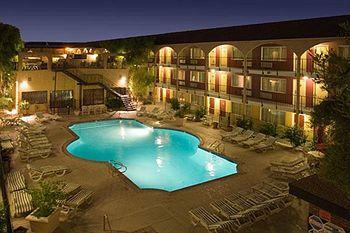 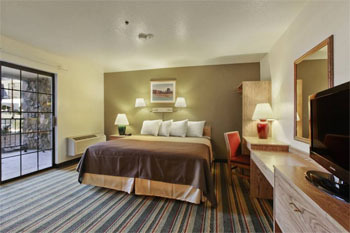 Billed as the world's largest Super 8 the hotel has 288 rooms in a three-floor building with interior corridors. 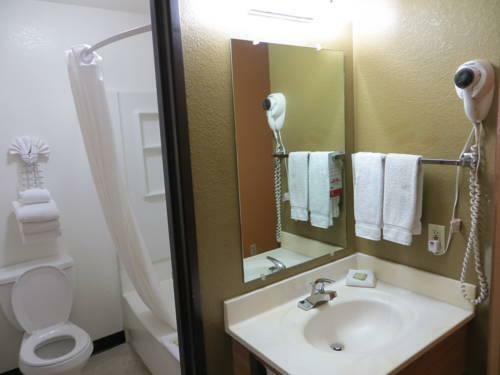 Guests get free local phone calls cable TV with four HBO channels free Wi-Fi in the rooms and public spaces and a 24-hour heated swimming pool and adjacent hot tub. 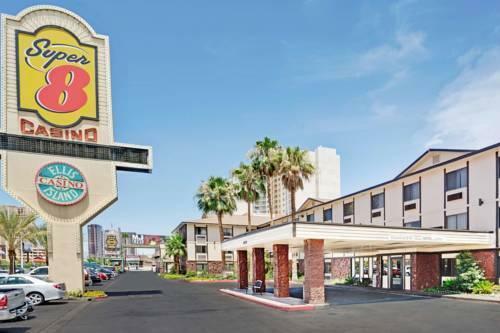 When hunger pangs strike guests head next door to Ellis Island Casino and Brewery which has a gaming floor a 24-hour restaurant a barbecue and a pizza place. 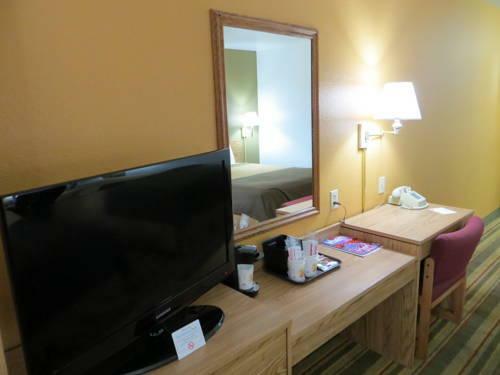 The Super 8 has a guest laundry and coffee in the lobby 24 hours a day. 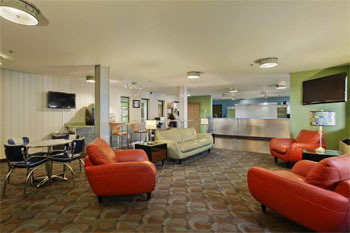 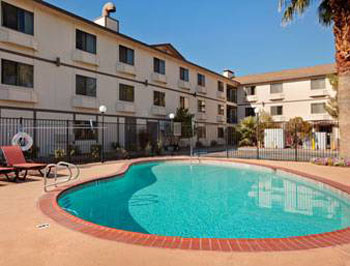 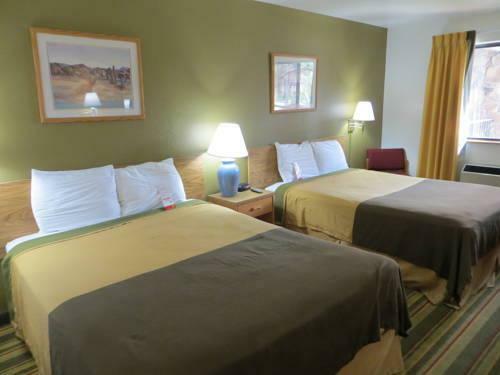 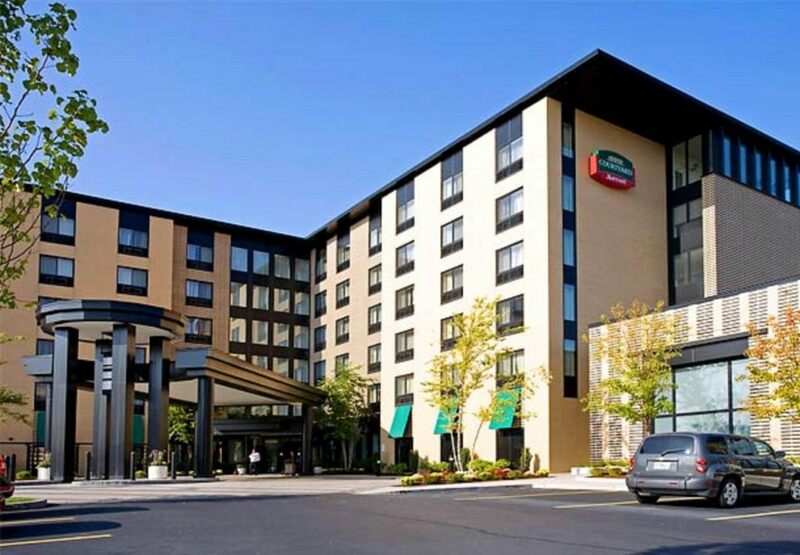 The hotel offers free 24-hour airport shuttle service and parking is free. 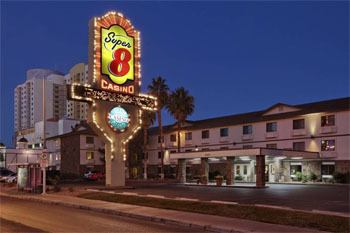 The Super 8 is just off I-5 one block from the Las Vegas Strip and next to Ellis Island Casino and Brewery. 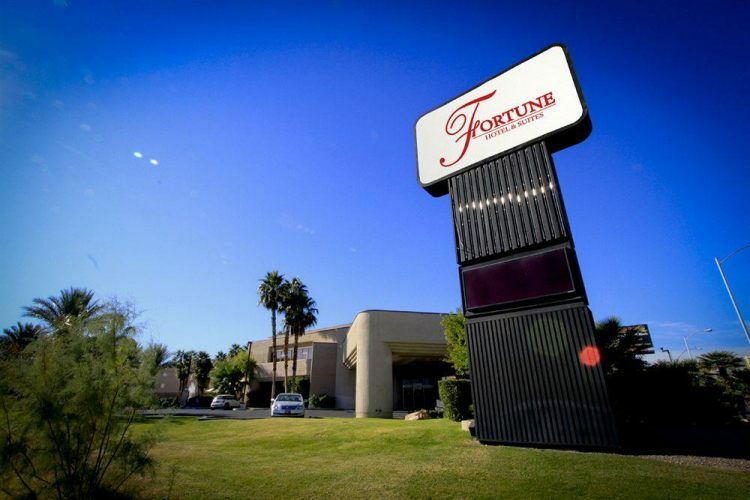 The Guinness World of Records Museum is two-and-a-half miles away. 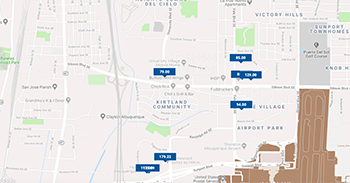 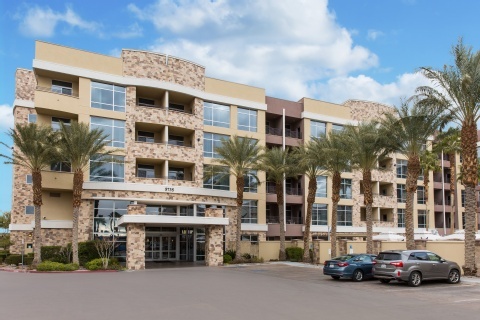 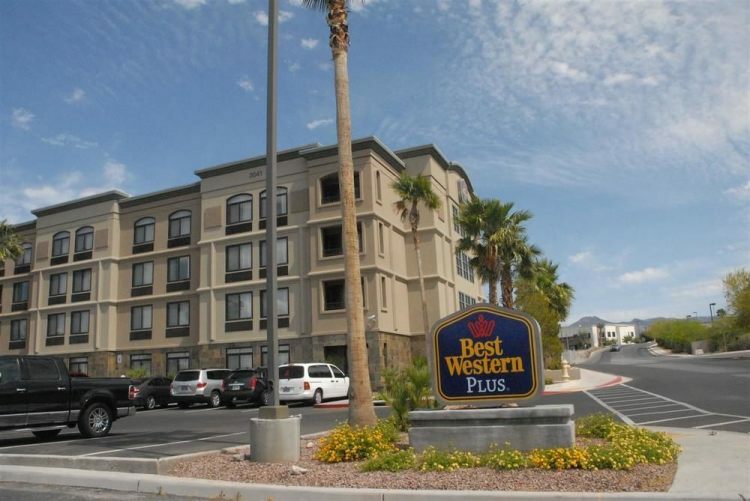 McCarran International Airport is less than three miles away. 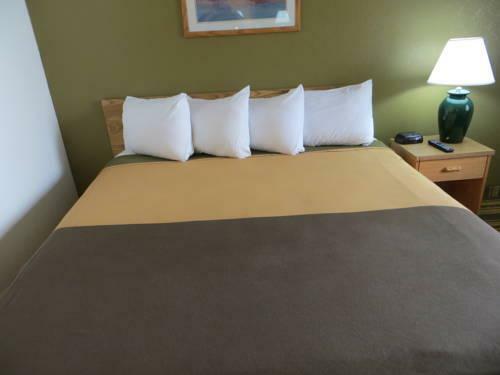 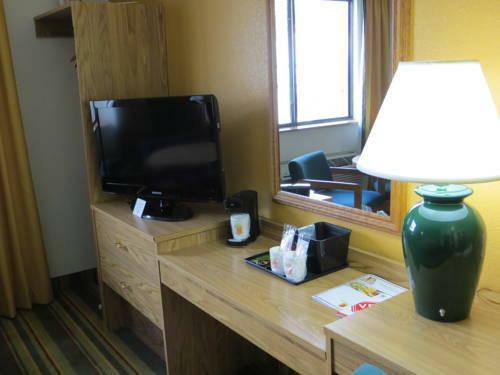 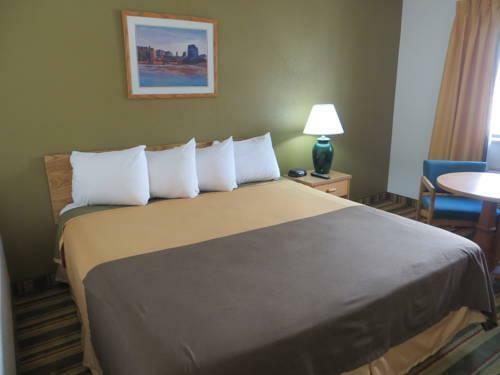 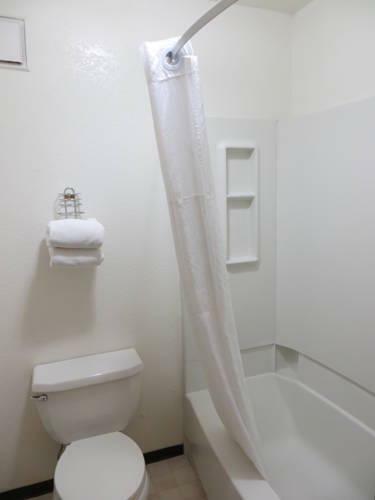 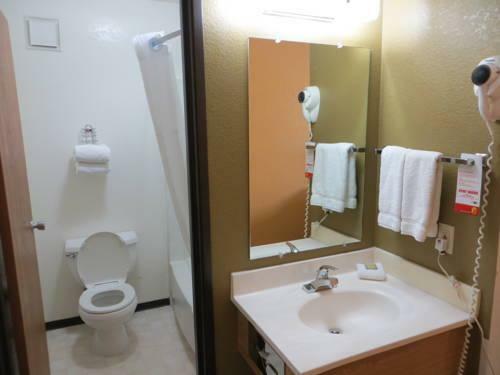 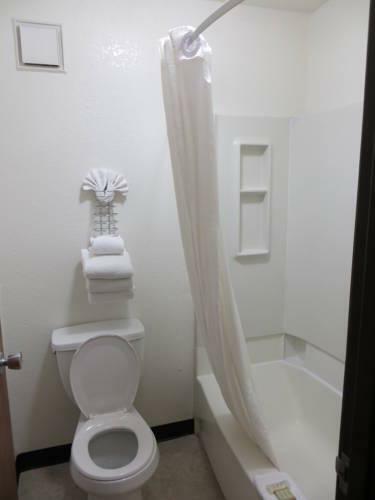 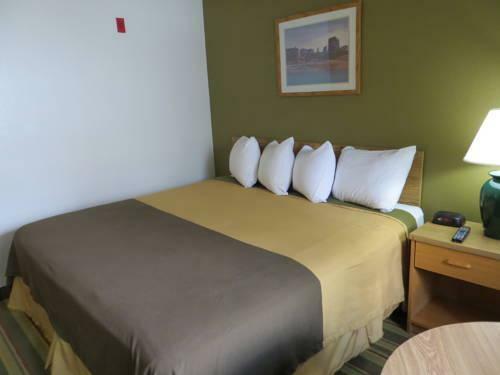 The budget-friendly Super 8 Las Vegas Strip pleases our guests with its "good location" its "free and convenient" 24-hour airport shuttle and its "excellent staff."